We talk about “wading through treacle”, “being on the edge of something”, “banging our heads on a brick wall”. Metaphors are very vivid ways of talking and writing about our experience. In fact metaphors are a very vivid way of having and understanding our experience. They encapsulate a situation in a way that would take a lot of words. Like pictures, metaphors are worth a thousand words. 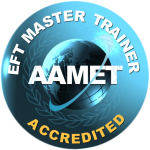 In standard EFT we usually tap on memories, feelings and beliefs unpacking our experience with words to give us something to tap on. Rather than tap on all those words we use those metaphorical descriptions to make changes in our experience. By working on a metaphor we are able to change multiple layers of thought, feeling and meaning without having to unpack the situation to Nth degree. 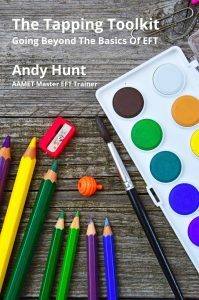 In this month’s EFT Cafe, Andy Hunt will show you one way of use EFT to work with our metaphorical experience to create change in our world. The EFT Café is on Wednesday February 13th from 7pm-9pm at St Oswald’s Hospice Teaching Centre.